Becoming a tradesman - exactly how can you become trusted? Home Guides & Ebooks How can you become a trusted tradesman? How can you become a trusted tradesman? Are you a trusted tradie? Most people planning a construction project or home improvements are concerned about finding a trusted tradesman. Horror stories about projects that were completed shoddily, late or at high cost due to “rogue” tradesman has placed anxiety into the minds of people across Britain; so much so that a recent report found that an estimated 87% of homeowners actually fear hiring a tradesman. There may be slight differences in the types of concerns based on the location, for example in some cities the biggest concern is that tradesman may “unfairly” charge a higher price. How can you be a trusted tradesman in such a scenario? If you can help people overcome their concerns and establish yourself as a reliable tradesman inevitably you should see a rise in the amount of jobs you receive. This will help your prospective clients overcome their fear of hiring an untrained tradesman. The pictures will reveal the type of work you handle and the quality you deliver. Try to take before and after pictures of the project you’re working on and let someone else photograph you working at the site. A word of caution; be careful of privacy and legal issues as well as concerns of the client when taking photos that you plan to publish. Another thing to remember is to keep your social media feeds up to date with the latest jobs. You may be an expert in your trade but if you fail to communicate well with your clients, you will be unable to convert your skills and experience into receiving more work. Being polite, informative and upfront when talking to clients this will assist in their decision in giving you the job. Communicate and behave in a way that shows you respect your clients and really want to solve their problems. Always be professional when replying to queries, and reply as soon as possible as this establishes trust. You can establish yourself as a trusted tradesman by providing written quotes, this avoids misunderstanding and confusion it also shows you are confident of your capabilities. Even if your charge is a little bit higher than the industry standard, you are more likely to be hired because you provide information about all your charges upfront. Make sure if there is any charge that the client has to pay later, inform them about it beforehand. It is not possible to foresee all expenses, material costs can overrun, inform the client beforehand about this aspect of construction projects. Clearly explain how the payment should be gradually paid and how much payment should be released before the start of the work and at each stage of the project completion. Once you have committed to a time schedule, stand by your promise and arrive at the project site on time. If there is going to be any delay of more than a few minutes, message the client about the reason for the delay and inform them how long it will take you to arrive at the site. Aim to complete your projects on time, keeping the client fully informed if you think that this cannot be achieved. You can also be considered a trusted tradesman by having the correct public liability insurance and any other insurance specific to your trade. This offers reassurance to clients that if something goes wrong during the project work you have financial protection to cover the cost of repairs and any other compensation. Having the appropriate insurance in place also protects your interests. You should not be shy of showing your license, insurance and other such business related documentary evidence to your prospective clients as your professionalism will provide your client with confidence. 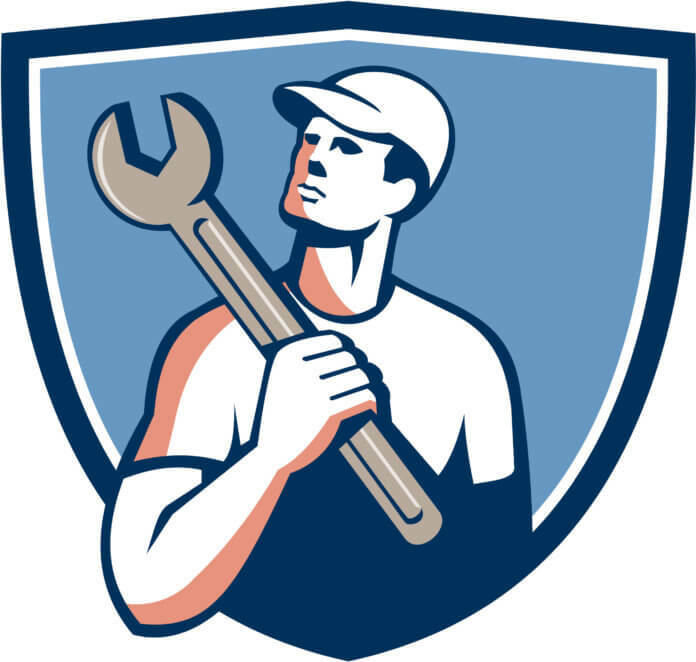 Follow these tips to become a trusted tradesman in your local area.